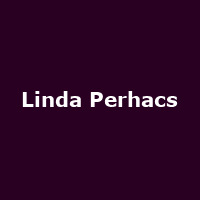 Linda Perhacs is an American psychedelic folk singer. She released her debut album "Parallelograms" in 1970, but it wasn't until it was rediscovered with the rise of the internet in the 2000s, that she finally tasted modest success with the album. The follow-up album came a full 44 years after the debut, with "The Soul of All Natural Things" seeing the light of day in 2014.